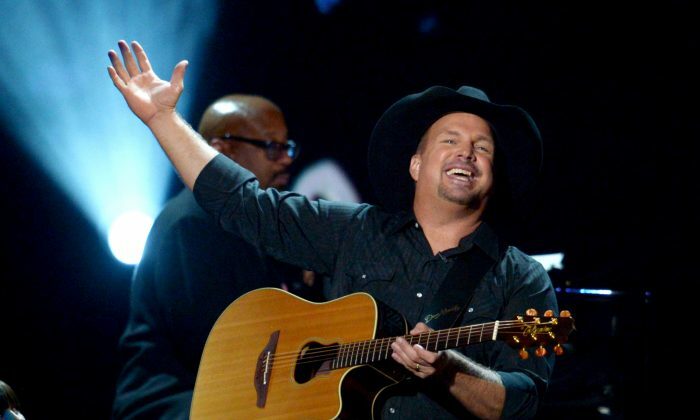 Country singer Garth Brooks won’t perform at the inauguration ceremony for President-elect Donald Trump, according to a report. An insider close to Brooks told TheWrap that the singer won’t be performing. “The insider would not elaborate on why Brooks declined to perform,” TheWrap wrote, citing its source. His publicist has declined to comment on the matter. Trump’s team also hasn’t issued a comment. Earlier this month, Brooks told TMZ that he’d be open to performing. “It’s always about serving. It’s what you do,” Brooks said. Brooks didn’t publicly endorse either Clinton or Trump. On Wednesday, it was announced that Jackie Evancho would perform the U.S. national anthem at the ceremony. “Honored to have @jackieevancho performing the National Anthem at the @TrumpInaugural Ceremony,” Trump aide Boris Epshteyn tweeted. On Tuesday, Trump met with Kanye West, fueling speculation that the rapper would take the stage on Inauguration Day. West, however, declined to comment on the matter when questioned by reporters at the Trump Tower in New York. Instead, West later tweeted about the meeting, saying violence in Chicago, bullying, and education were issues the two men discussed. And last month, a representative for Elton John, who supported Hillary Clinton, insisted that he wouldn’t be performing for Trump after there were reports saying he would. “Incorrect. He will NOT be performing,” the publicist wrote, reported The New York Times. A “Hollywood insider” told TheWrap that the Inaugural Committee was holding talks with Kid Rock, Ted Nugent, and Lee Greenwood.